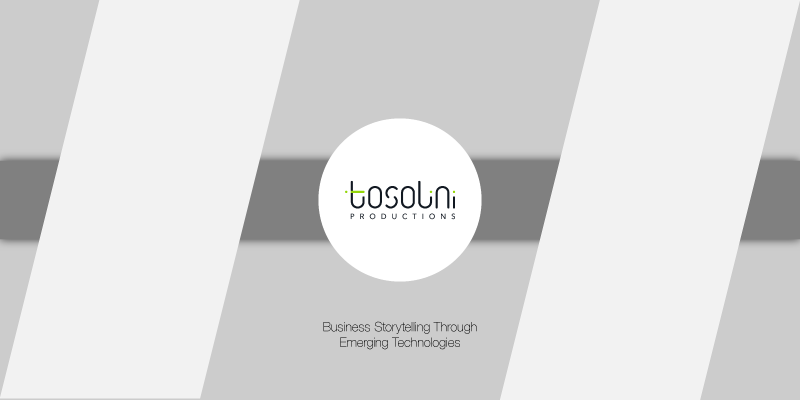 With Tosolini Productions, we wanted to examine 360 imagery used in ways that could be productive or used as a substitute for a more traditional way of presenting information. We built rapid prototypes for different types of content. 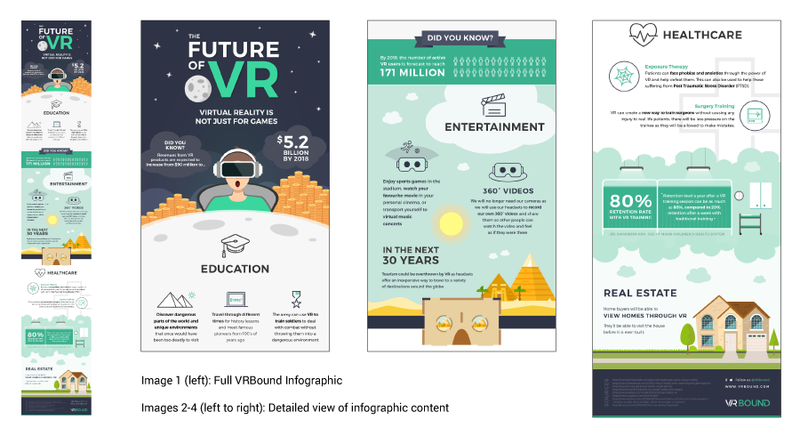 Working with various forms of content for Infographics, Marketing, and Event Promotion, I developed proof of concept solutions using a combination of 2D graphics and 360 imagery. We reached out to VRBound and restructured one of their existing VR graphics about the industry, to fit a 360 mobile space. We shared this with VRBound and through social media, reaching upwards of 3,000+ views. This graphic now has a permanent place on VRBound’s website. Click and drag the window below to interact with the 360 graphic. 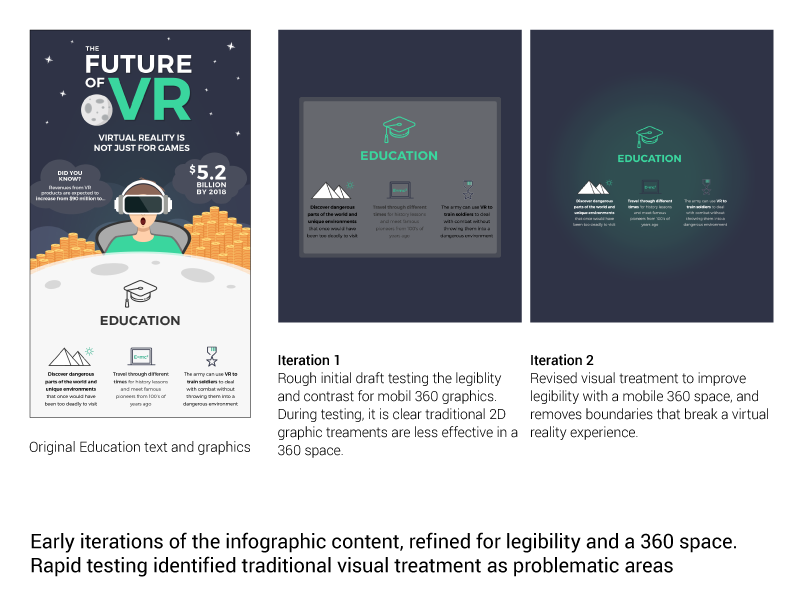 Microsoft has existing case studies that we took and revised the content to fit in an appropriate 360 mobile VR graphic to explore. 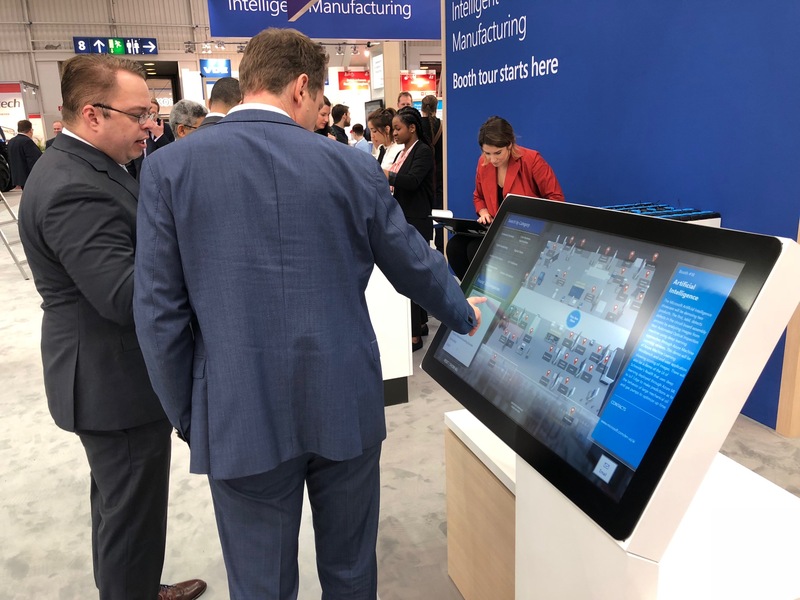 These prototypes have been shared with multiple teams within Microsoft, as well as have inspired new ways of thinking about this kind of information. 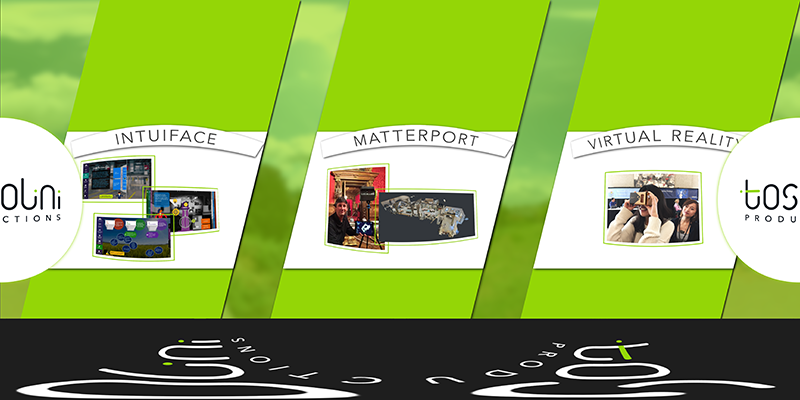 Click and drag the windows below to interact with the 360 graphic. 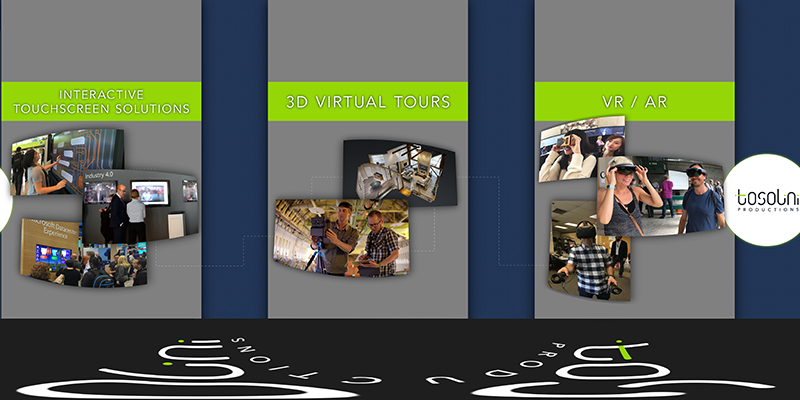 360 graphics can also be a great way to immerse a viewer into the work a company has done, especially if that work coincides with emerging media like 360 graphics and VR. 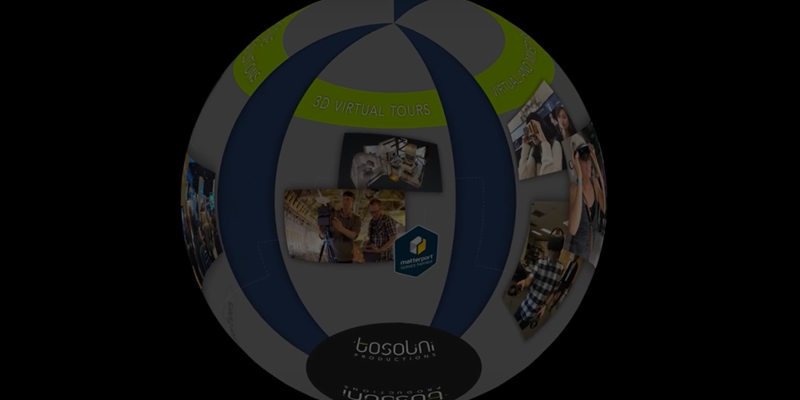 Using content from past Tosolini projects, I created a 360 space in which to display the company’s work. 360 graphics can also be a great way to inspire interest and excitement for an event or service, giving a refreshing take on a traditional website, or 2D graphics. 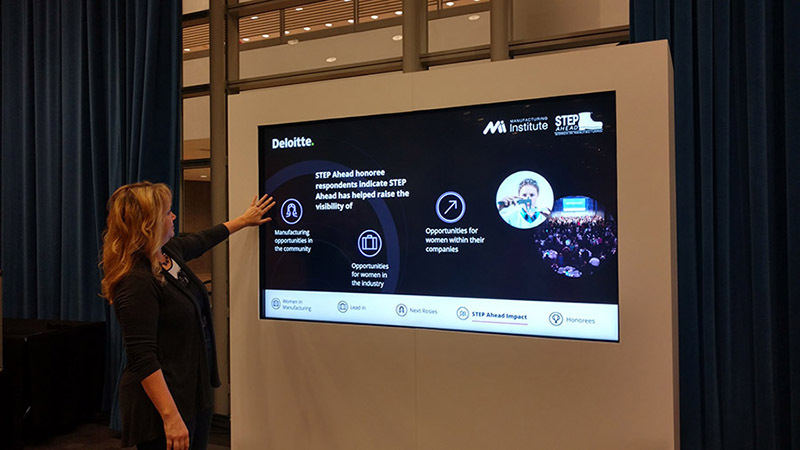 In this approach, we created a 360 as a summary to Deloitte’s STEP Ahead Awards event in D.C. We also created visuals for advertising a service, to understand the amount of content that could be used within a 360 space that is digestible for a user. to utilize in event spaces.